Thank you for your interest in participating in the East Point Farmers Market! Interested in having a business or organization sponsor booth at the market to hand out information and reach out to the market’s patrons? Please see the sponsor booth form below. 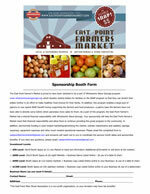 Fill it out and email it to eastpointfarmersmarket@gmail.com . 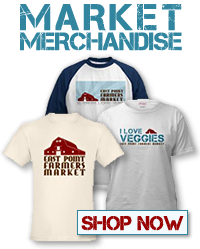 Activities/Attendees at the East Point Farmers Market may be photographed and/or videoed. These photographs and/or videos may be used by EPMSA as they determine. By attending this event or any other EPMSA event, you give permission for your likeness to be used as described above.